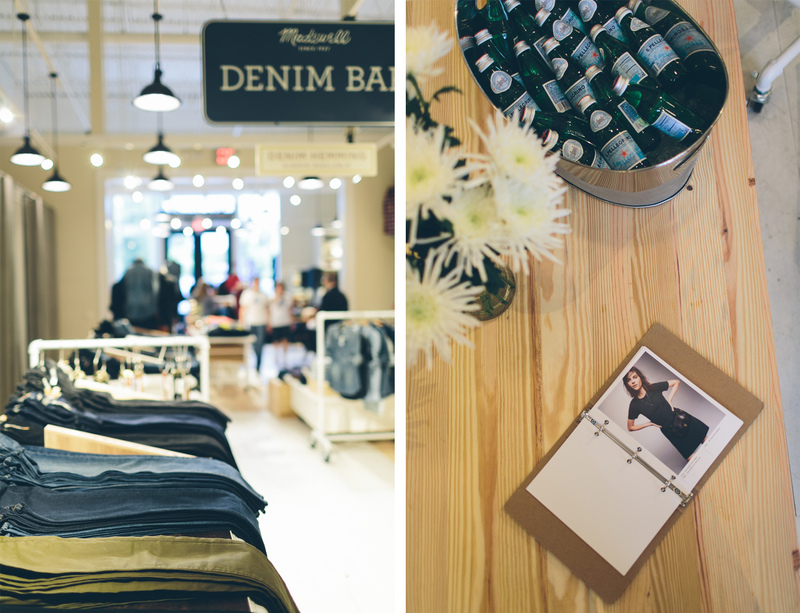 Last Thursday I had a wonderful opportunity to be able to be apart of the Grand Opening for a brand new Madewell store in Ann Arbor, Michigan. It was a really wonderful night full of new friends, great drinks, some shopping, and a great celebration of dressing your way. 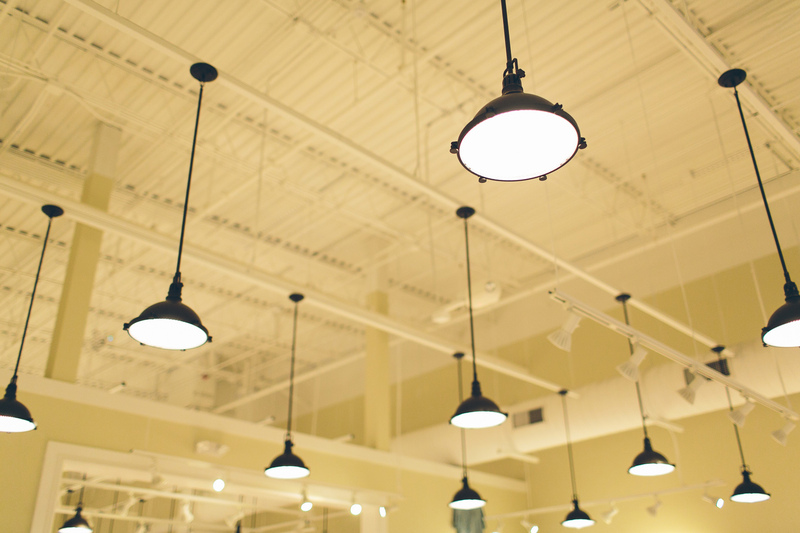 The new Ann Arbor store is located in a really amazing area in Ann Arbor called Arbor Hills. The small community has some wonderful restaurants and other shops that you just don’t want to miss out on if you are in the area. It was really fun to be a part of the wonderful energy and excitement. 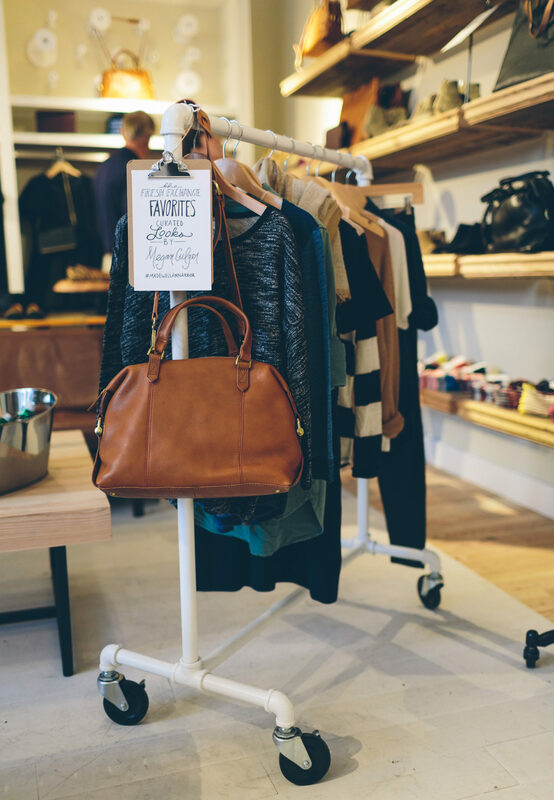 When I arrived I was given the chance to curate a rack of some of my favorite pieces from the store. 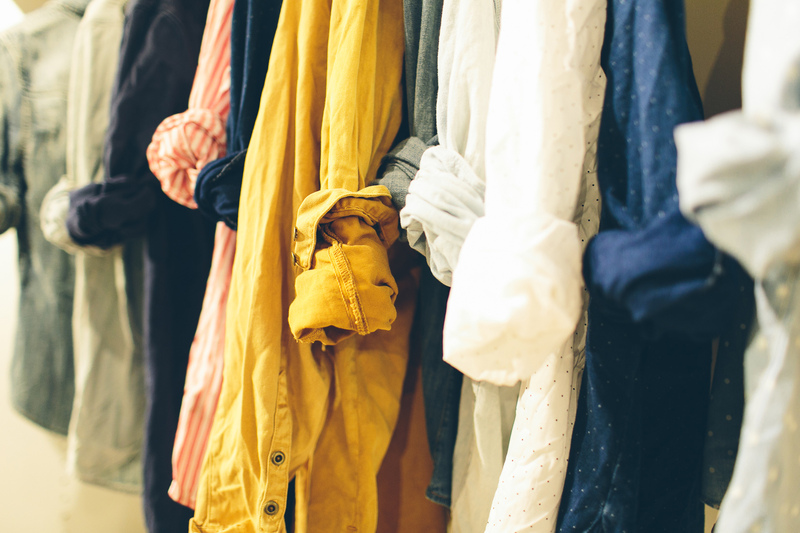 I focused on items that could easily transition in to multiple outfits and could all be rolled up and traveled with for a week long trip. 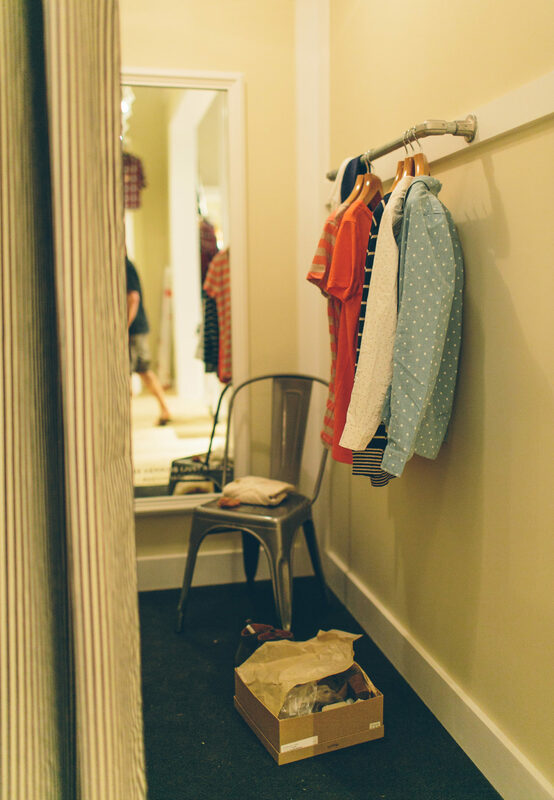 This is a huge part of why I love Madewell, their clothes are the perfect thing for a lady with a beautiful but busy life. 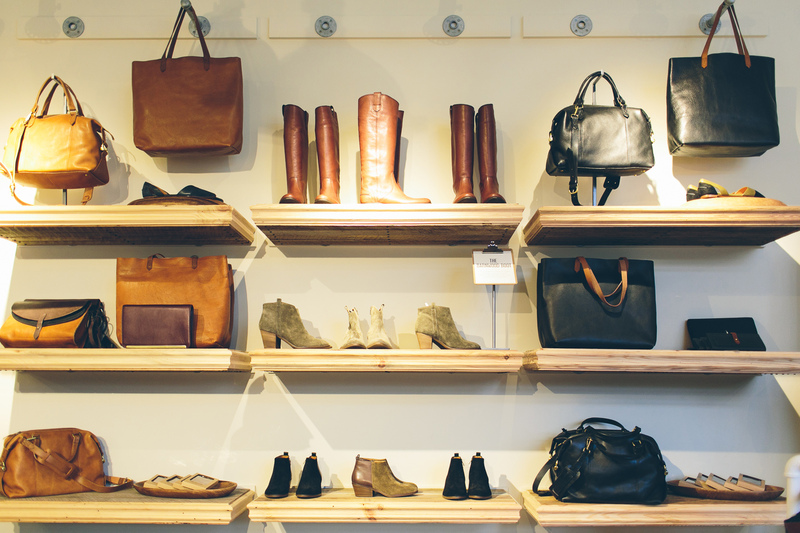 They lend to comfort but have the perfect balance of style, simplicity, and quality. 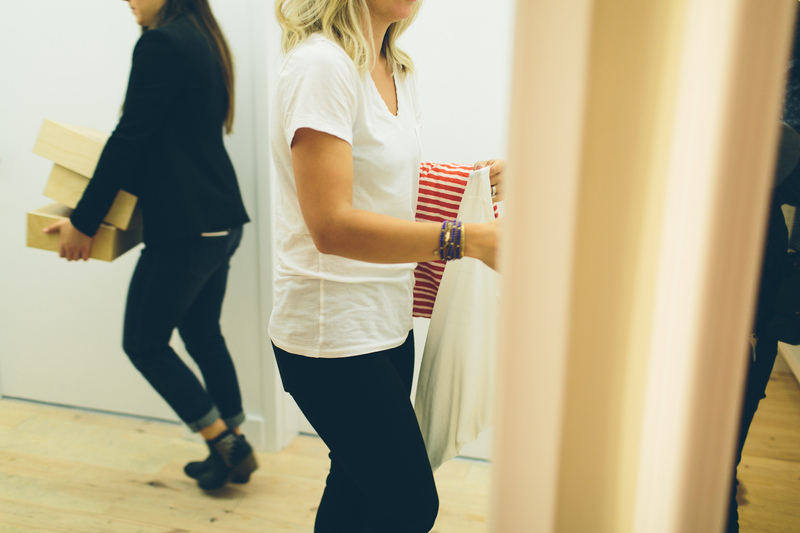 They are cut in a boyfriend style so it makes it easy to layer and walk that perfect line of casual and chic. The items I placed on the rack I listed at the bottom of the post, in case you wanted to know what is on my wishlist right now. 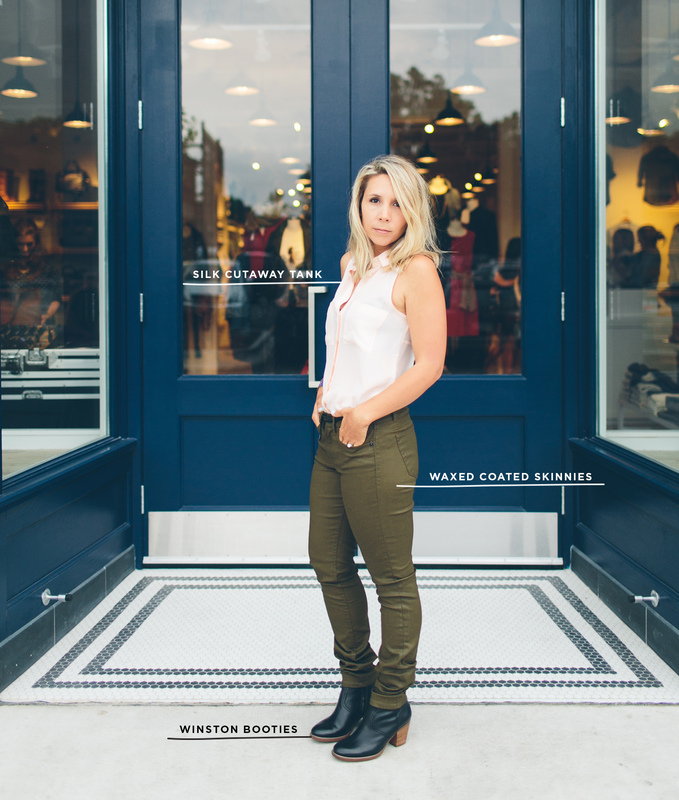 For the evening I chose to wear the brand new waxed coated skinny skinnies in olive, the silk cutaway tee in light pink, a studded black belt, and my new favorite boots; the winston. 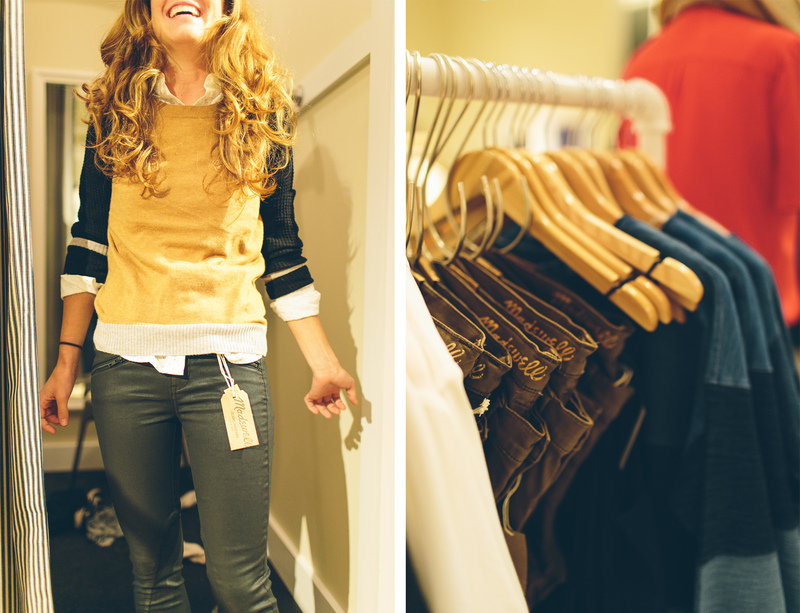 It was a warm evening in Ann Arbor so this was the perfect style for finding the right blend between Summer and Fall. If you have had fears of wearing anything waxed coated, it’s time to get over it, because it is the most amazing thing on your body. The coated jean wears and breathes far better than faux leather or even real leather for that matter. Plus they look slick without too much sheen. A great pair of pants to wear on a Friday to transition from work to cocktails with friends. 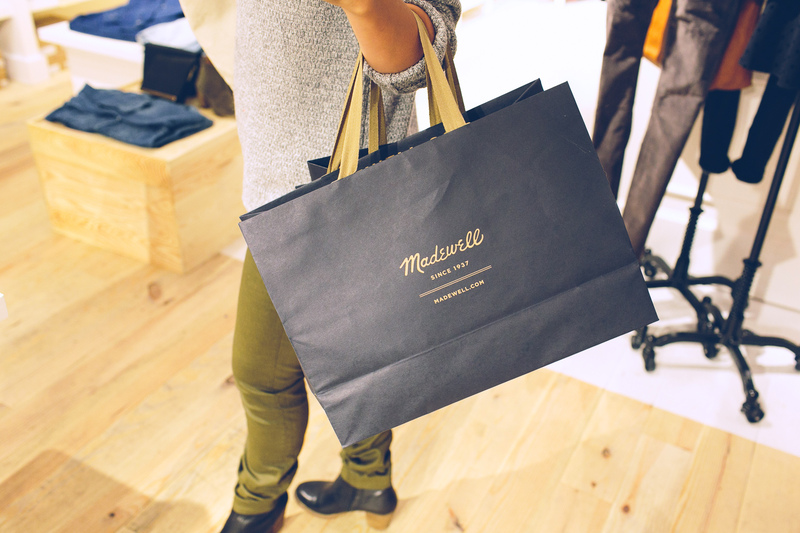 As the evening kicked into gear it was really fun to meet and talk with so many people about the new store, their new pieces, and what they love about Madewell. 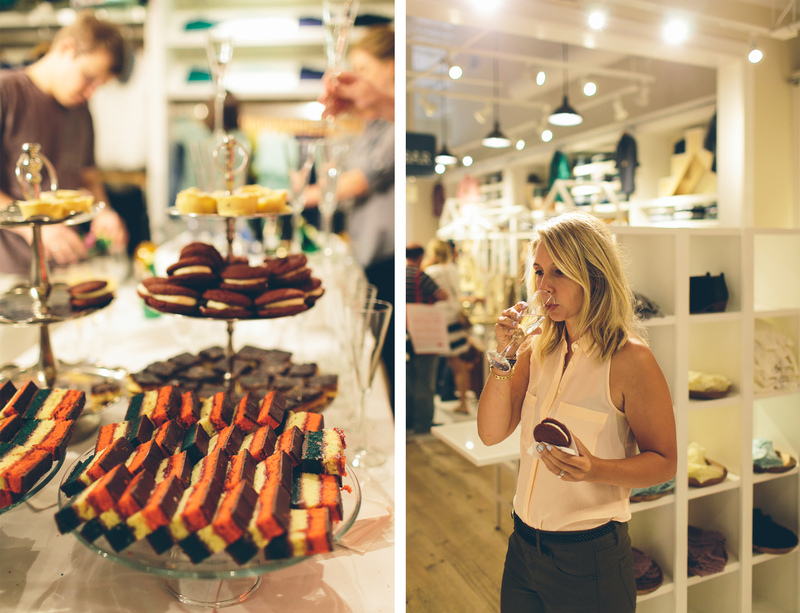 We enjoyed some beautiful and tasty treats from Babo in Ann Arbor. They even poured a champagne tower for all of the guests. It was quite the treat. 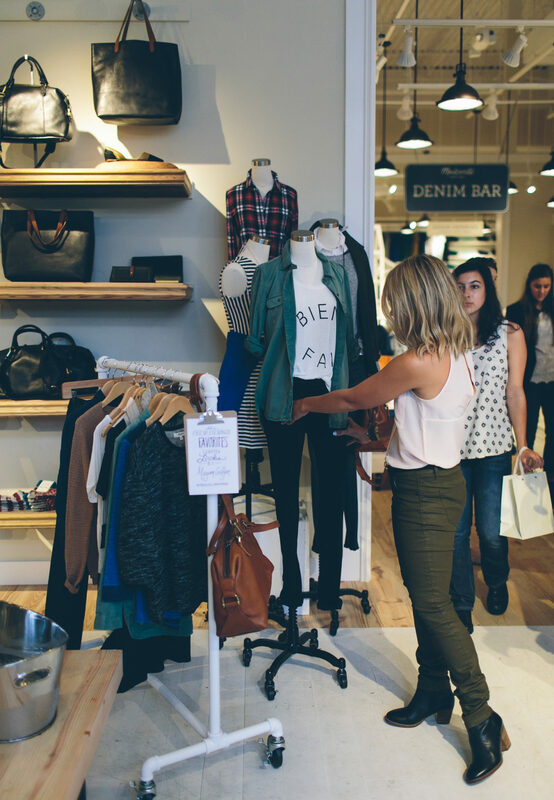 At the event Madewell was giving away a free polka-dot clutch with every purchase. They were the perfect small clutch to either have for a Friday night or a great bag for small items when you travel. Plus, who can say no to navy polka-dots? Not this lady. Throughout the evening DJ Scout was spinning and mixing up some great tunes for everyone as they tried on some pretty stylish outfits. 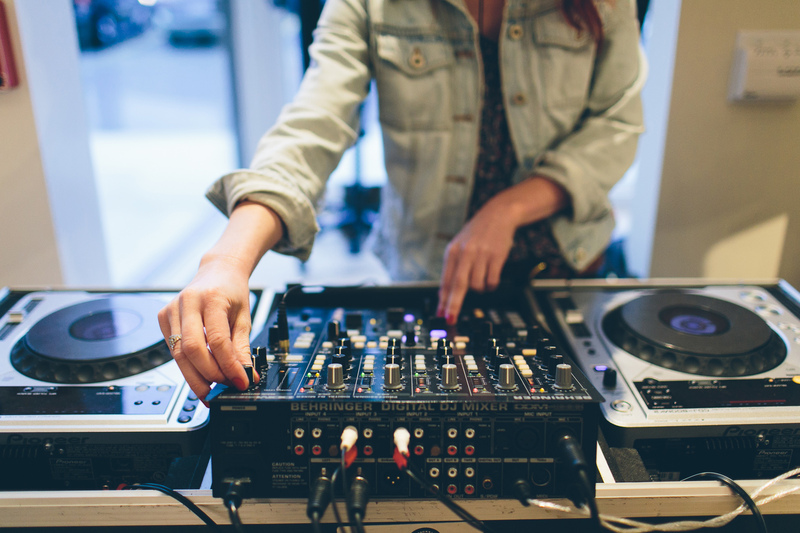 It made me wish there was always a live DJ following me around when I shop. My favorite part of any event is the amazing opportunity to meet readers and get a chance to chat about their blogs and their lives. It was really awesome to see so many ladies such as Nicole Dula of Dula Notes and Courtney from Love Court xoxo (Happy wedding week Courtney!!). Such awesome ladies full of creativity and passion. I loved meeting you all and so many others. 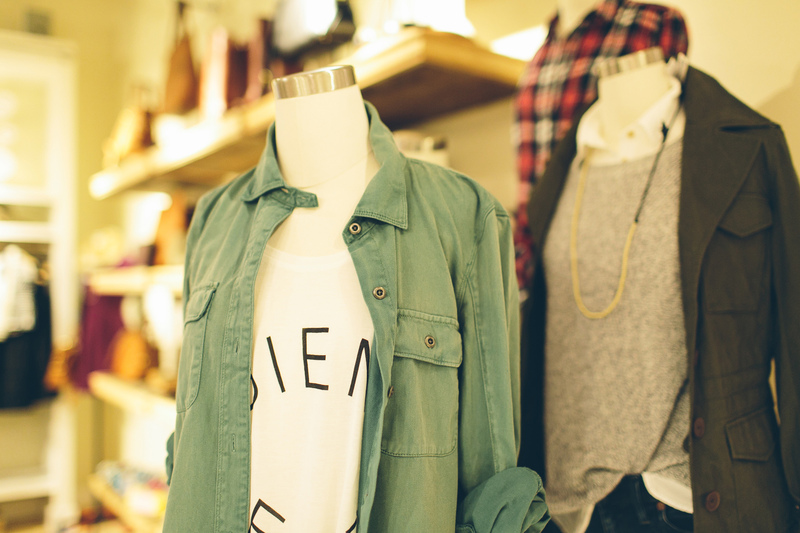 One thing I also did that night was style a mannequin with one of my fave everyday looks. Of course I had to use the tomboy workshirt, a graphic tee, and black jeans. It is the perfect everyday outfit and one I basically live in, so it only felt appropriate. 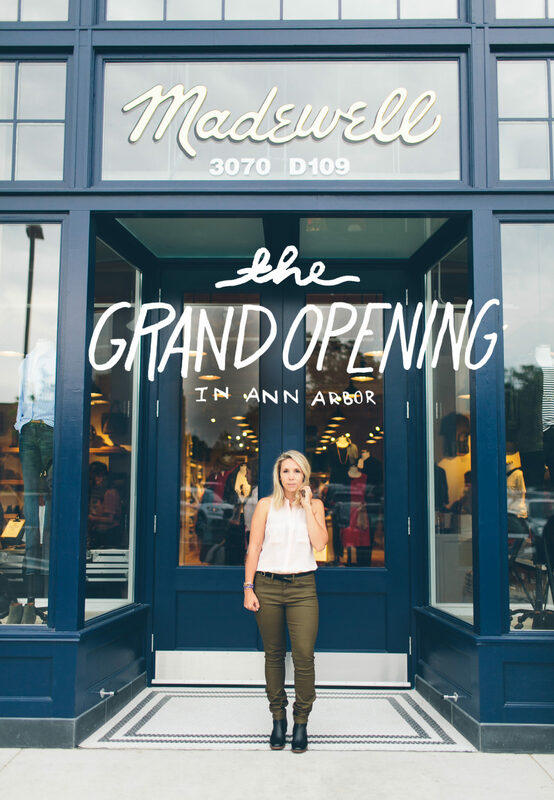 It was really fun getting to get to know all of the team members at the Ann Arbor Madewell. 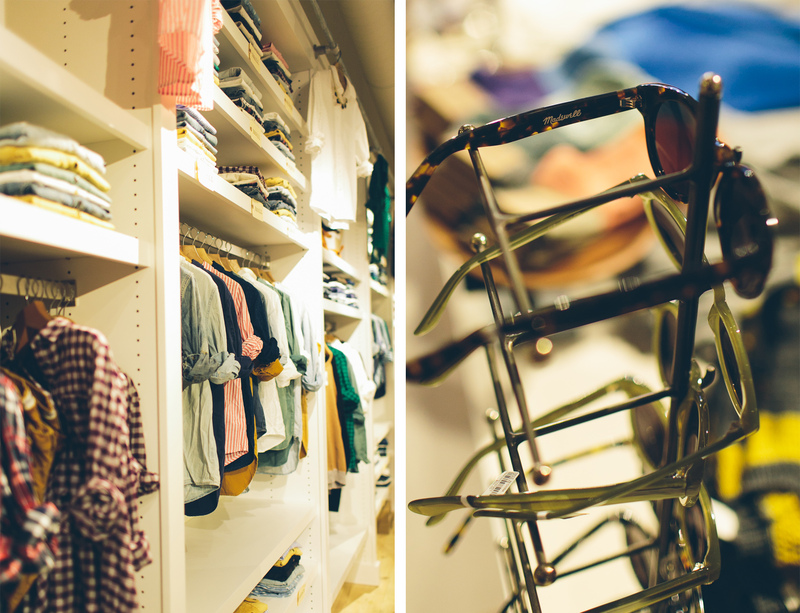 They were all super helpful, fun, and of coarse all have an awesome sense of style. 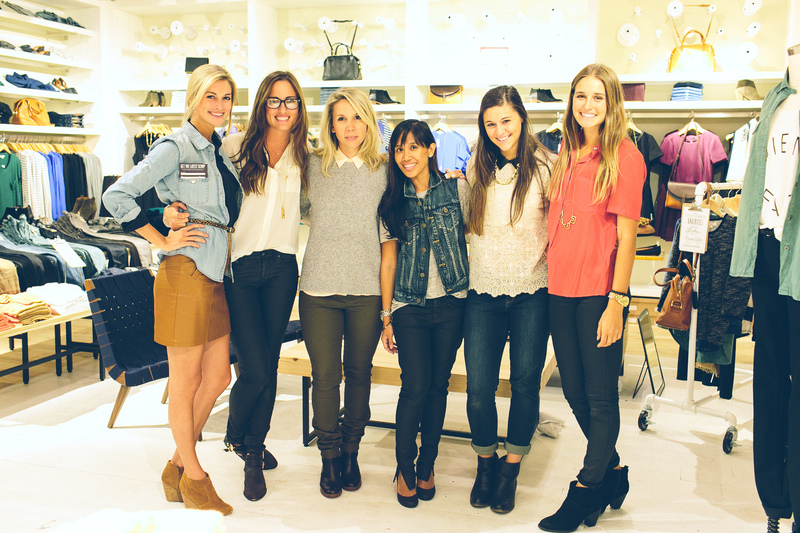 They are pros at helping to put together some great looks with the new Fall items. One of the most popular items I saw being tried on were the skinny ankle moto jeans. They looked great on almost everyone that tried them on. Plus there are zippered pockets that you just cannot resist. It truly was an awesome evening with such a wonderful group of people. 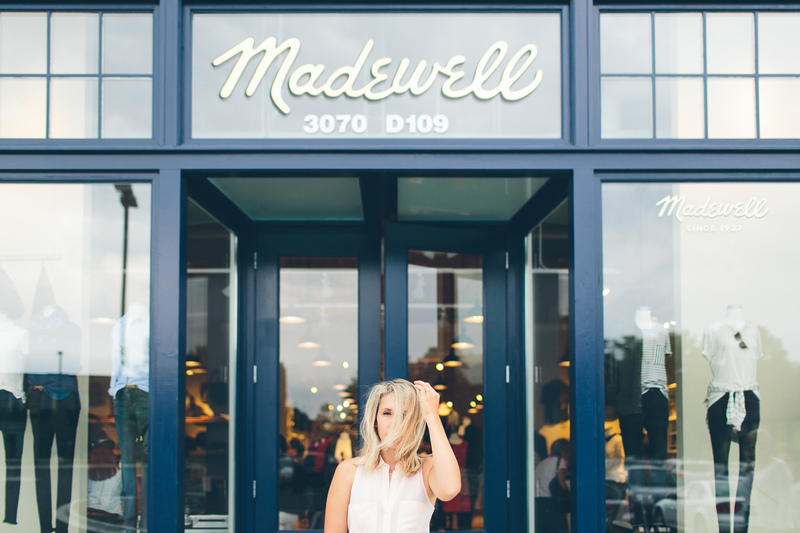 Madewell does not disappoint from their clothes, to their staff, to even their customers. 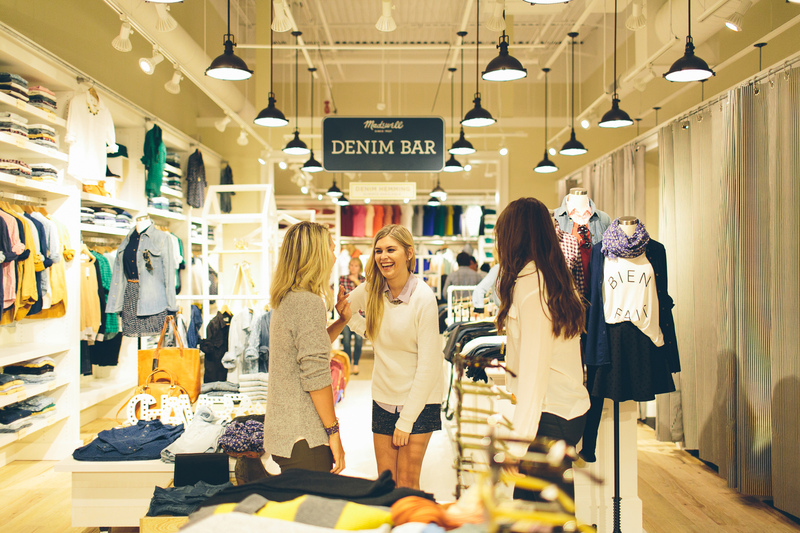 Thank you everyone who came out and supported the grand opening and thank you to the amazing Madewell team who made the night that much more amazing. You all are going to kill it! The photos turned out gorgeous! It was such a pleasure meeting you and Mike. 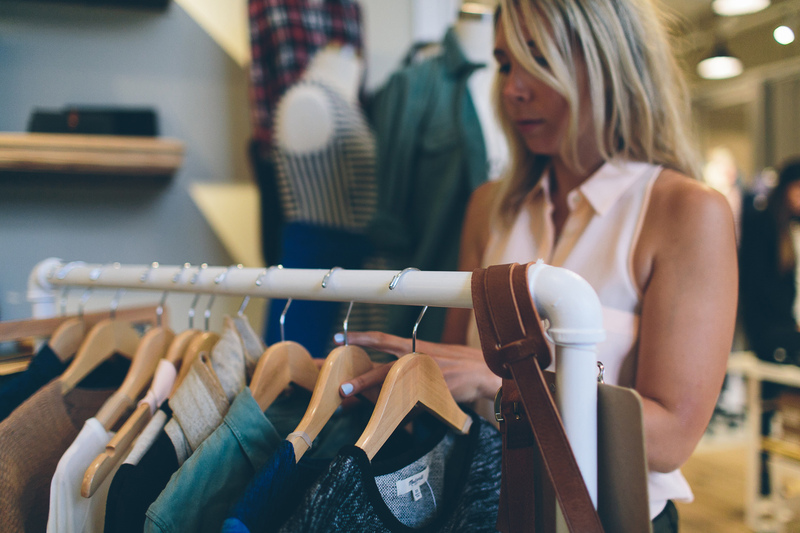 I really loved everything on your curated rack, too. A fun night! 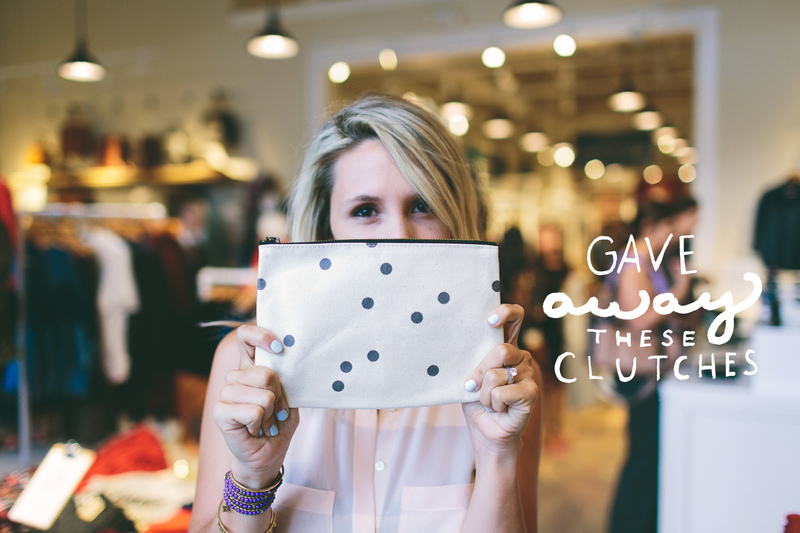 so excited you snapped a pic of that polka dot clutch we give away – I designed it! Looks like a great evening. 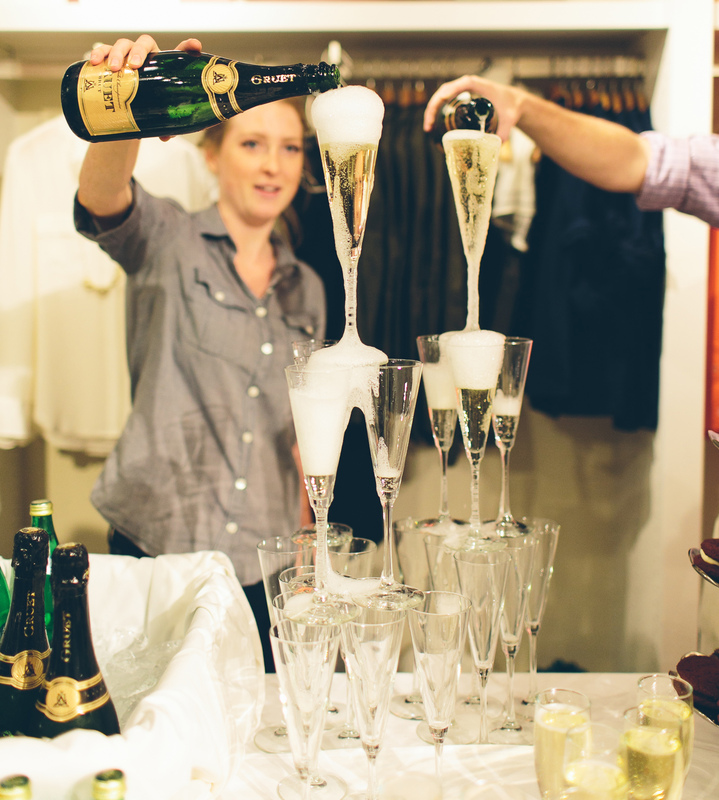 And that champagne tower pour looks like it takes some serious skill! the workshirt is on my fall list!